Shortly after 6pm on Friday evening (11th Dec) we announced the winner of our Christmas Hamper competition, courtesy of Wellington Waitrose. The winner was Emma-Jane Gibson from Wellington. She was presented with the prize by the Store Manager Tim Broadhurst and Apple FM’s Luke Knight (pictured). 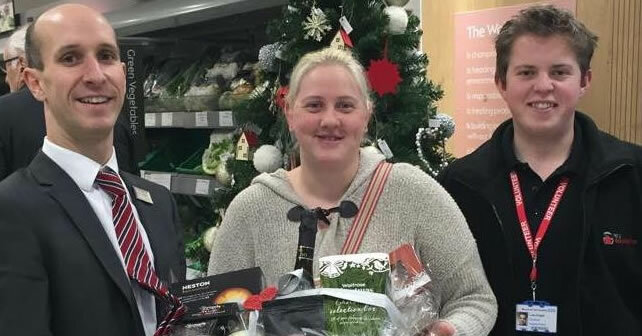 Emma-Jane was delighted with her prize and thankful to both Waitrose and Apple FM. Look out for more great competitions in the New Year on your award winning Apple FM.